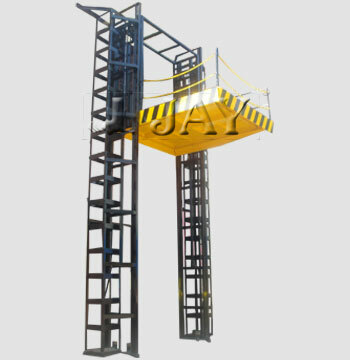 'JAY' Electric Lifting Platforms can be flushed with floor level when pit installed. 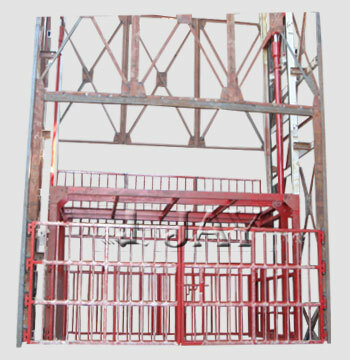 The mast and carriages are made from prime quality steel profiles. The mast & carriage assembly are fitted with sealed ball bearing rollers and side thrust rollers to prevent lateral play. The series also provided with an AC power operated hydraulic power pack consisting of an electric motor, hydraulic gear pump, solenoid valve, oil reservoir, and oil level indicator, pressure release valve and pressure gauge. The most enhanced feature of this model is that, it is provided with a hydraulic cylinder made from seamless tube & hand chrome plated piston rod. 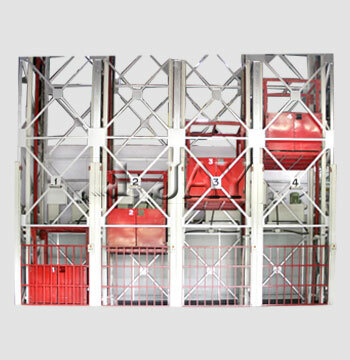 The electric lifting platform is equipped with an electrical control system. The Moreover, we ensure that, all materials & hardware items confirm ISI specification. 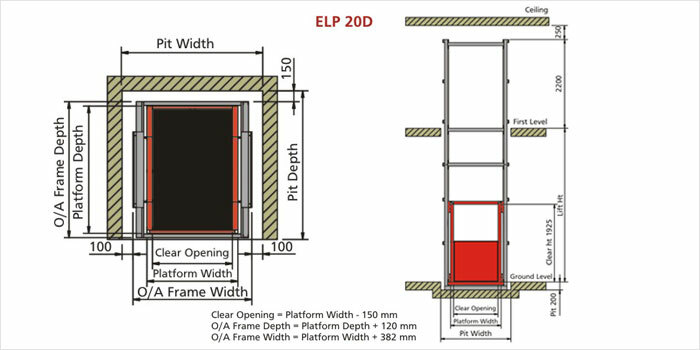 The ELP-20 D design is offered with a single hydraulic cylinder, which can carry a capacity upto 2,000 kg. 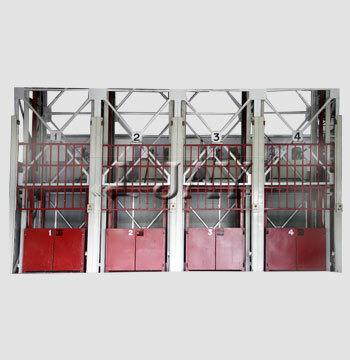 The design is available with mast and carriage systems, hydraulic systems, and electric control system. The control panel is with MCB contactors and overload relay to protect motor and the transformer to reduce the primary control voltage to 24 V A. C. for operators safety. The up & down push button control station is with emergency stop switch provided at respective landing, and the limit switch for selected landing levels. 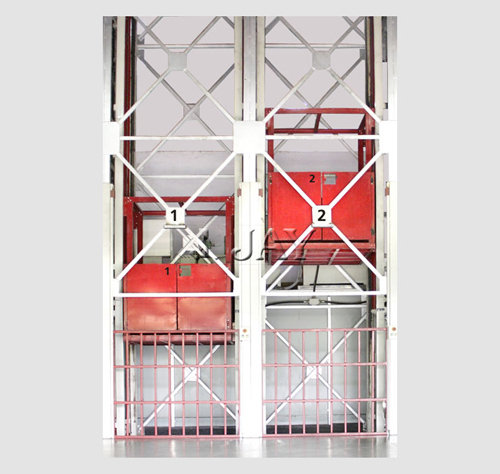 The safety door switch allows the lifting platform to operate only when the doors are fully closed. 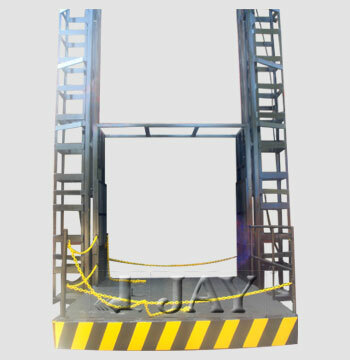 The electric lifting platform cannot be operated from inside the cage/platform, it can be operated only from outside.